Institutional investors control a large chunk of financial assets in countries like the United States and the United Kingdom. For readers not aware - institutional investors are individuals, often operating in groups who collect funds on behalf of others and put those funds to good use in the form of carefully calculated investments. But why are these people trusted with money and not others? A fully decentralized system cannot be controlled by a central authority. That’s the whole point. Well, institutional investors have built up a reputation over time. Throughout the years, especially ten or twenty years ago, institutional investors had access to companies who the average person didn’t, regardless of wealth or source of wealth. As a result, getting their hands on information which wasn’t necessarily public was common, giving them an upper hand. As the influence of the internet grew, however, many investors have gone rogue, setting up shop by themselves due to the transparent environment the world wide web introduced. This leads us to the direct correlation with crypto investment. Are institutional investors flowing in? Why? Let’s break it down and find out. Why are Some Institutional Investors Still Wary of Crypto Investment? For many mainstream investors, crypto investment is still a grey area. People are often scared of what they don’t know or understand - this is just the case. 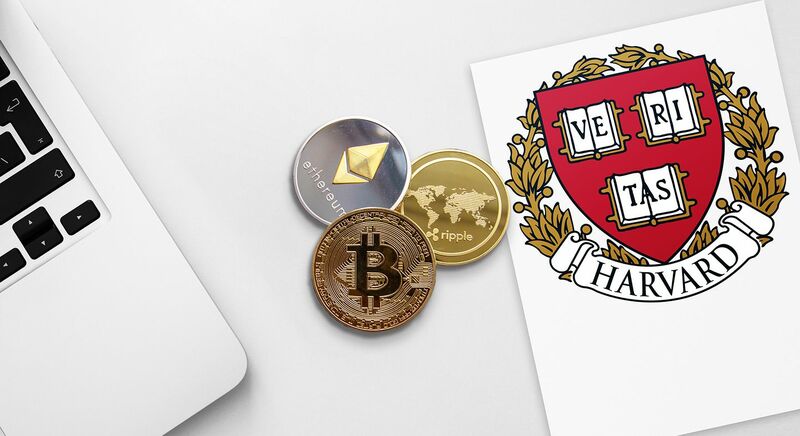 While there are legitimate concerns over the cryptocurrency industry as a whole, many investment opportunities have been and are still being denounced due to the lack of overall knowledge on crypto investment. Yes, there are companies like Grayscale Investments starting to bridge the gap between crypto projects with huge potential and powerhouse investors, but there is a long way to go. To summarize the opening point, your average investor will experience extra worry and concern when confronted with a cryptocurrency project for a variety of reasons - some of them more legitimate than others. To understand their way of thinking just a little more, let’s see what institutional investors seek when they are looking to nest their funds. What Do Institutional Investors Actively Look For? Standards for investors have been growing and growing over the years. Comparing the average list of no-gos every ten years or so would give you a good idea of how these standards have changed - more - evolved over the years. Wealthy individuals aren’t simply naive trust fund babies who throw the dollar at a nicely dressed man with an above average professional reputation - no. A great institutional investor will know exactly what to look for when allocating funds. 1. How Does Lack Regulation in Crypto Affect Institutional Investors? The crypto investment space is already considered volatile enough as it is. Even as a cryptocurrency enthusiast, I must say that the industry is hugely uncertain for those used to set regulations in place, mostly conventional investors in the case of this article. As a result of the currently under-regulated market, self-regulatory practices are taking place to ensure that space is going to be attractive enough for investors. One way of dealing with this issue is the introduction of security tokens, which act as an essential liquidity guarantee of some sort for investors. Security tokens are backed by profits and assets of companies and therefore provide the much-needed liquidity. In any case, institutional funds are humongous, coming in big chunks, but are also subject to far superior control measures than smaller investments which the crypto space is currently used to. 2. Are Crypto Projects Becoming Transparent Enough to Attract Prevalent Funds? The transparency of up and coming as well as established crypto investment projects plays an important role in attracting the right institutional investment and there are many reasons for this. A company or project’s transparency covers the entire aspect of a business, not only responsible for an overall impression but the ability for those interested to calculate their chances of benefiting from a partnership. Undoubtedly, there were major transparency and trust issues with hundreds of ICOs, many of them still operating as unregulated money pits attracting the “get-rich-quick” type, but times are changing. Many crypto companies have taken a different approach and have been spilling just about any information one might be after when wanting to make a buck. These companies and their founders approach the issue with sheer professionalism and give their project’s the best possible chance to grow by urging their team to send out regular updates which are public to those who may be interested. A great few examples are the likes of EOS, Ethereum, Cardano and Tron. All these guys are fairly open about what they’re currently working on if not more. 3. What Other Alternatives Do Cryptocurrencies Offer In the Market? Institutional investors are suckers for alternative investment within a market space and understandably so. Pension funds are one of the primary schemes making use of this strategy. According to an article published by PWC, North American investors are one of many investors who are most reliant on the availability of adequate alternative assets when investing. What does the cryptocurrency market offer in this regard? This is easy. Just open your eyes and look at the cryptocurrency market. You don’t need bitcoin investment companies to point you in the direction of alternative investments, they’re right there. What you do need is a company like Grayscale Investments with expert knowledge on where your money would nest safely. This is specifically what institutional investors look for with viable alternative assets. 4. The Unlikely Will For Corporate Control - Is It Realistic? One thing investors love to do is to have control. The more stake you have, the more control you get. This is similarly the case with many decentralized projects too, especially those which have proportionate voting systems set up depending on the holding rations, but is it the same type of control as a classic entity under corporate governance? Absolutely not. The biggest challenge of truly and fully decentralized cryptocurrencies in achieving big-money appeal will be the lack of control they can offer. Thinking about it logically, a decentralized platform can only be controlled up to an extent - in fact - not controlled but influenced. A fully decentralized system cannot be controlled by a central authority. That’s the whole point. As the cryptocurrency industry gets closer and closer to becoming regulated up to an extent, notable institutional investors will penetrate the floodgates and want a piece of the pie. How Will Mainstream Investment Affect the Crypto Community? Correction, it is already affecting the crypto community and will continue to do so. Companies such as Grayscale Bitcoin Investment Trust are well and truly trying to bridge the gap between institutional money and crypto projects. As a result, the volume of funds flowing in is steadily growing with more and more middle-men experts on the horizon. Bitcoin investment companies are also on the rise, hoping to add to the steadily uplifting charts. For the year of 2018, Grayscale’s total inflow was around $330m. 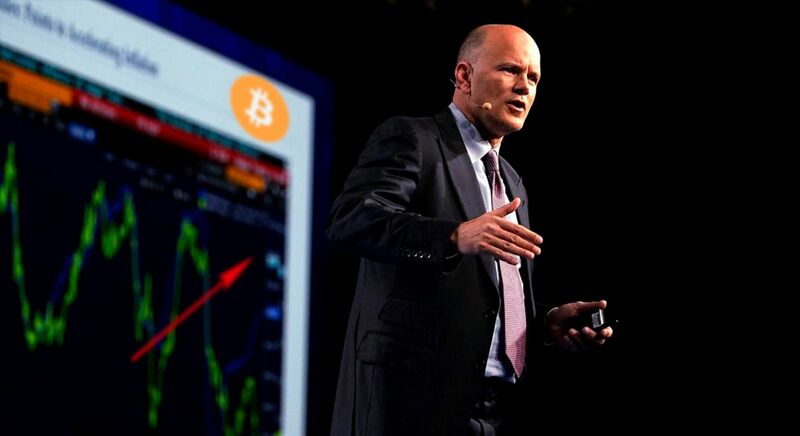 According to CNBC, Grayscale Investments’ managing director reported little to no deterioration in both volume and interest despite the dip in Bitcoin and alternative cryptocurrency prices. The interest is high and they’re flowing in. The question is - why hasn’t it all gone to the moon yet? A question yet to be answered. While institutional investors are a major part of the game, mass adaptation is the real challenge for cryptocurrencies which is still to be faced. Michael Sonnenshein, Grayscale’s managing director has reportedly claimed that over 70% of investment funds came from the likes of hedge funds as opposed traditional retail buyers. Just look at Grayscale Investments. Hundreds of millions of dollars flowing in a year and growing. Bitcoin investment companies will undoubtedly experience an increasing inflow of institutional investors throughout 2019. With a large basketful of functional cryptocurrencies and increased awareness of what they are capable of, the big dogs are watching. The overall market capitalization of cryptocurrencies is dancing around $200bn as we speak, but this is monopoly money compared where it can possibly end up in the next five years. Bitcoin investment companies are and will be the first to feel the wave, hitting the average user and investor just after. Wrapping up, let’s talk about where we come in. When a market is hit by large chunks of money, cash, dough, we all feel it. Even those not directly involved with the market will feel it as the money would’ve otherwise gone to a market where they were involved. Look back at 2017 - what an insane year for cryptocurrencies and that wasn’t even due to institutional investors flowing in. Once the market becomes attractive enough for more and more mainstream investors to take a risk, us as users, enthusiasts and investors will quickly notice. 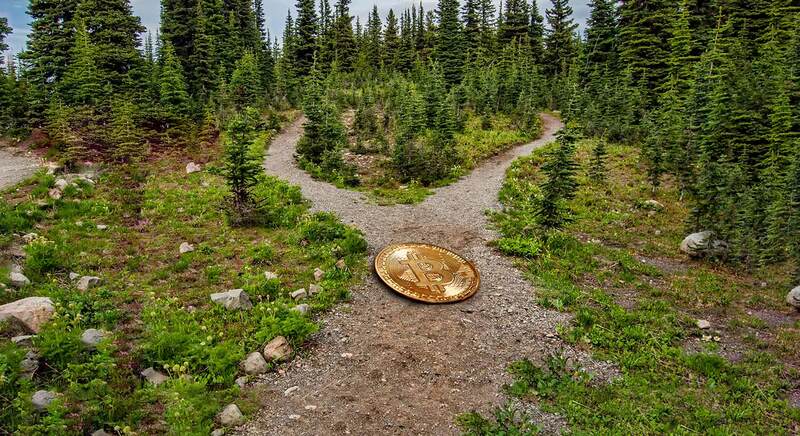 Should you be a HODLER with a ton of coins in hidden wallets, great - you’ll likely experience a spike in the overall value of your portfolio and cash out. Traders may be affected differently as they execute dozens if not hundreds of trades a day - the market will inevitably behave differently. It’s a difficult prediction to make, but the predicted inflow how large funds will impact each and every user in a different way. Why Will They Flood In? What Do Cryptocurrencies Offer? High risk - who said it wasn’t exciting? There have already been talks of regulation globally, primarily in the United States and China with many countries looking to follow. Many international corporations have already latched on like the likes of JP Morgan, Citi Bank, and Goldman Sachs. Smart investors always prioritize the risk to return ration above all; however, as the cryptocurrency industry gets closer and closer to becoming regulated up to an extent, notable institutional investors will penetrate the floodgates and want a piece of the pie. Overall, we are looking at a soon-to-come tipping point yet again. The likelihood of large corporate interest bringing changes is high, but so is the exponentially bullish outlook of the market as a whole. If this article spiked your interest, this is a perfect time to stay ahead of the curve by learning how to buy and hold cryptocurrencies. We recommend checking out our start investing guides to get started. You will thank us later. Writer and entrepreneur with an on-going interest in developing technologies. 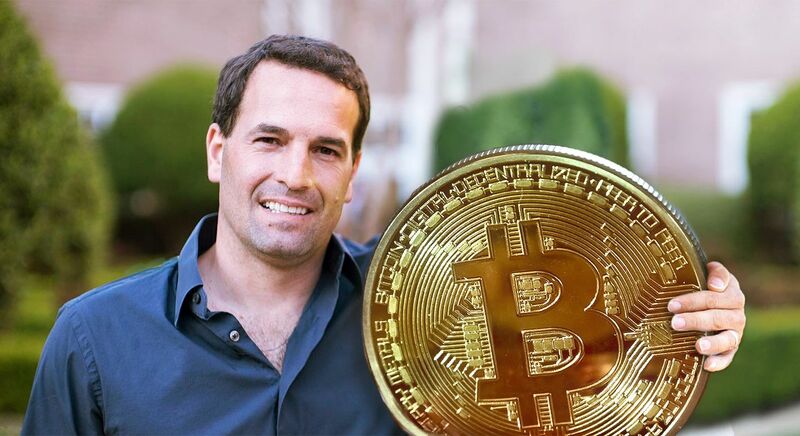 Horace has run operations of multi-million dollar online companies and has worked with cryptocurrencies for 4 years.